When you’re driving on a budget in Gainesville, consider used Honda vehicles to get the perfect mix of luxury, performance, and safety technology without breaking the bank. Honda is known for its value and reliability, and below you’ll find out why. Collision Mitigation Braking System: On applicable trims, your used Honda comes with a millimeter wave radar sensor that monitors for potential collisions. When you’re in a risky situation, you’ll hear warning sounds, and your brakes will engage if necessary. Forward Collision Warning: A camera on your front windshield monitors vehicles in front of you and activates alerts in the event of a potential collision. If necessary, your CMBS will engage. Adaptive Cruise Control: Maintain both your speed and a safe distance between you and the vehicle in front of you. Adaptive Cruise Control is perfect for those long road trips on Georgia highways. Road Departure Mitigation: When driving over 45 mph, if you start to veer off the road, your RDM alerts you and start vibrating your steering wheel. The system corrects your steering as needed. Lane Keeping Assist System: Like RDM, LKAS keeps you in the middle of the lane, which can help protect you against the dangers of driver fatigue. When you start leaving your lane without a signal, LKAS adjusts your steering to center you. Lane Departure Warning: LDW detects the limits of the lane you’re in and alerts you when you begin to drift. NHSTA 5-Star Safety Ratings: The 2016 Honda Accord, Pilot, and Odyssey received 5-Star Overall Vehicle Scores from the National Highway Traffic Safety Administration. These models used Honda’s standard side airbag system during testing. 2016 IIHS Top Safety Pick and Pick +: The Insurance Institute for Highway Safety gave the Accord, CR-V, Pilot, and Odyssey the honor of Top Safety Pick for the year in 2016. The 2016 Accord, Pilot, and CR-V with Honda Sensing earned the distinction of 2016 Top Safety Pick+ in recognition for excellence in crash safety. 16 Best Family Cars: For 2016, Kelley Blue Book, a well-known vehicle review site, named the Accord, Civic, Pilot, Odyssey, CR-V, and HR-V as prime family vehicles. 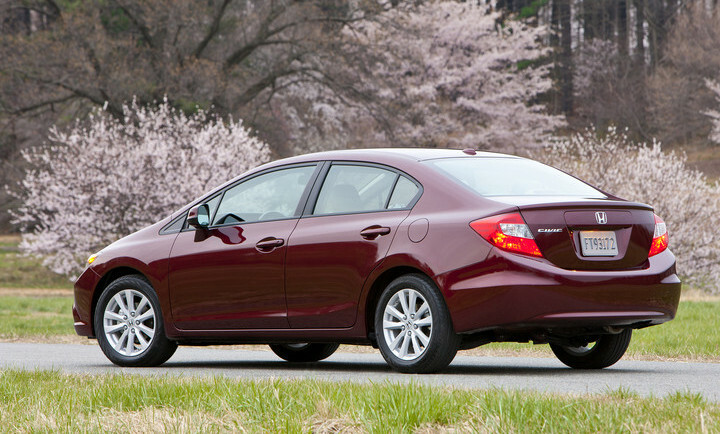 The Honda models were commended for driving dynamics, luxurious comfort, and practicality. 10Best: For the 30th time in the model’s history, the Honda Accord was featured on Car and Driver’s 10Best for 2016. The model is noted for its efficient performance and refined design, as well as its legacy for excellence. Best Overall Brand: For three years in a row, Kelley Blue Book has named Honda as the Best Overall Brand in the non-luxury automotive industry. The award is based on the Brand Watch study the outlet conducts. Best Value Brand: In addition to Best Overall Brand, Kelley Blue Book also deemed Honda to be the Best Value Brand for 2015 based on the outlet’s Brand Watch Study. 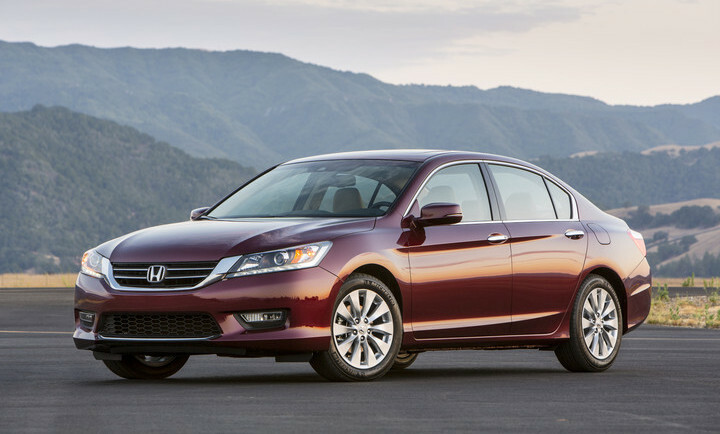 Accord: The Accord is a crowd favorite thanks to its luxury interior and feel. Plus it has plenty of technology to keep you safe, such as a back-up camera, side camera, and tire pressure monitor. Odyssey: With leather trim, four doors, and an array of safety features, the Honda Odyssey is the perfect family car to power through soccer practice. Thanks to its V6 engine and an 8-passenger capacity, you can travel the distance with ease. Civic: The Honda Civic is known for its impressive gas mileage (39 mpg on the highway), making it the perfect sedan for long road trips and/or morning commutes. Plus, you can enjoy multiple trims like the CVT or Sport. Pilot: Power steering, four wheel drive and auto headlights are just a few handy details of this bold SUV. When you need to tow or just transport all your friends, the Pilot is a great and versatile option. Find out which used Honda model is for you with a test drive at Carriage Mitsubishi located at 2350 Browns Bridge Road. Give us a call at 678-932-1710 to schedule your appointment, and fill out our quick contact form if you have any questions.